I prayed using a Siddur Tehillat Hashem the other day, and I noticed that many more shvas were marked with an asterisk above, indicating that they should be vocalized, than I'd expect. In particular, there were many cases in which a shva following an unaccented "short vowel" and not under a letter with a dagesh got an asterisk. One example, which I confirmed is not marked for vocalization in the Artscroll Siddur (for example), is the last word of the second verse of Psalms 104 (AKA "Barechi Nafshi"): כַּיְרִיעָֽה, which would be pronounced like "kayeriy'a" according to Tehillat Hashem and like "kayriy'a" according to Artscroll. Where does this distinction come from? As I understand it, the markings of these shevas follow the rules given by R' Shlomo Zalman Hanau, an important 18th-century grammarian. In his system, every sheva following a tenuah kallah (a "light" vowel, i.e., one that substitutes for a sheva or a chataf vowel) is vocalized; examples include מַלְכֵי (since the independent form is מְלָכִים) and נֶעֶרְמוּ (since the singular is נֶעֱרַם). In your example, then, the patach under the כ is presumably a tenuah kallah, since this prefix usually takes a sheva. By contrast, most other siddurim, such as Artscroll, follow the rules given by R' Eliyahu Bachur (16th century) as interpreted by the Vilna Gaon. Whether these markings belong in the Siddur Tehillas Hashem is another issue altogether. They're there basically for historical reasons: the old Tehillas Hashem siddur (first published in 1945) was actually mostly a photo-offset of Siddur Seder Ha'avodah, first published in Vilna in 1911, which had them. The printers of the latter siddur seem to have freely tinkered with the wording of both the halachos and the prayers themselves (possibly under the influence of siddurim of other nuschaos); the sheva markings are their addition too. (The original siddur of the Baal HaTanya, and editions such as Torah Ohr that try to reflect it faithfully, don't have such markings.) When the Siddur Tehillas Hashem was re-typeset a few years ago (the edition that you linked to), arguments were made pro and con, but ultimately the editors decided to leave well enough alone. See Menachem's answer above. He wrote, "As I understand it, the markings of these shevas follow the rules given by R' Shlomo Zalman Hanau, an important 18th-century grammarian. In his system, every sheva following a tenuah kallah (a "light" vowel, i.e., one that substitutes for a sheva or a chataf vowel) is vocalized; examples include מַלְכֵי (since the independent form is מְלָכִים) and נֶעֶרְמוּ (since the singular is נֶעֱרַם). In your example, then, the patach under the כ is presumably a tenuah kallah, since this prefix usually takes a sheva. Whether these markings belong in the Siddur Tehillas Hashem is another issue altogether. They're there basically for historical reasons: the old Tehillas Hashem siddur (first published in 1945) was actually mostly a photo-offset of Siddur Seder Ha'avodah, first published in Vilna in 1911, which had them. The printers of the latter siddur seem to have freely tinkered with the wording of both the halachos and the prayers themselves (possibly under the influence of siddurim of other nuschaos); the sheva markings are their addition too. (The original siddur of the Baal HaTanya, and editions such as Torah Ohr that try to reflect it faithfully, don't have such markings.) 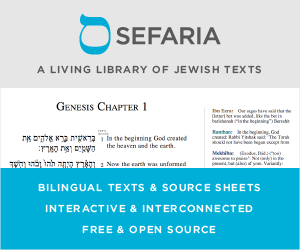 When the Siddur Tehillas Hashem was re-typeset a few years ago (the edition that you linked to), arguments were made pro and con, but ultimately the editors decided to leave well enough alone." Not the answer you're looking for? Browse other questions tagged prayer-book grammar-dikduk pronunciation chasidut-hasidism chabad . Who knows of a online siddur that is not vocalized? Which parts of Shacharit are skippable, optional, or not universally recited? How does the Siddur Torah Ohr differ from the Siddur Tehilas Hashem?